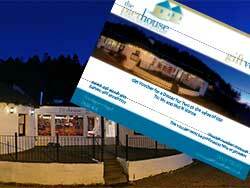 The Pierhouse is perfectly placed to explore Argyll, Lochaber and the islands on a sightseeing day out from the hotel. 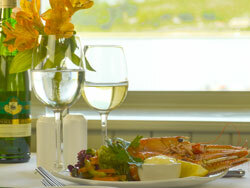 Take a look below for some itinerary ideas to make the most of your day trips from The Pierhouse. 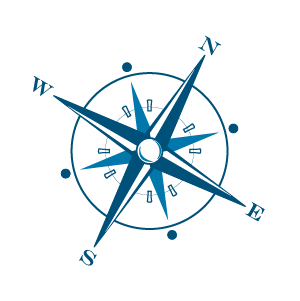 For the more adventurous, read about the extensive range of organised adventure activities we will be pleased to arrange for you upon request. If you prefer to stay local and simply relax - there are also plenty of local attractions. 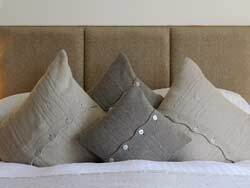 However you choose to spend your break at The Pierhouse, relax and enjoy! 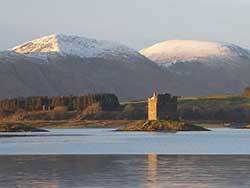 Gateway to the Isles and the Seafood Capital of Scotland, Oban's just a short drive away. 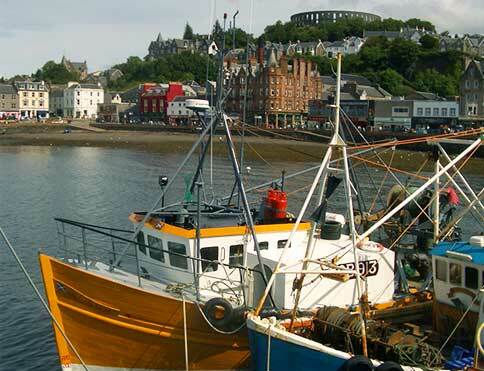 The harbour town of Oban, known as the Gateway to the Isles and the Seafood Capital of Scotland, is a short 30 minute drive away. Visit McCaig's Tower, the replica of the Colosseum that is such a distinctive feature on the Oban skyline, to take in the view across Oban Bay to Kerrera and Mull. 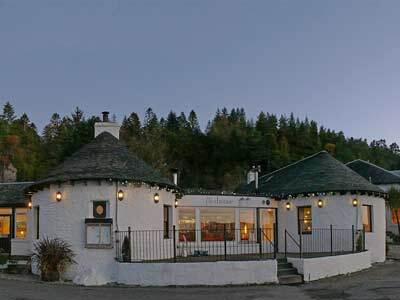 Take in Oban Distillery, where the Visitor Centre is open most days. Car ferries depart from the bustling Railway Pier for Mull, Colonsay and the other West Coast islands of the inner and outer Hebrides. 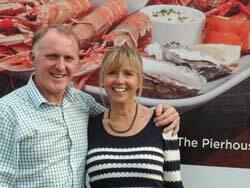 Your route to Oban takes you past many other attractions, so why not stop off at the Scottish Sea Life Sanctuary, Argyll Pottery, the white sands of Ganavan, just outside Oban, or Tralee Beach, 1 mile from Benderloch? Port Appin to Oban - 20 miles. 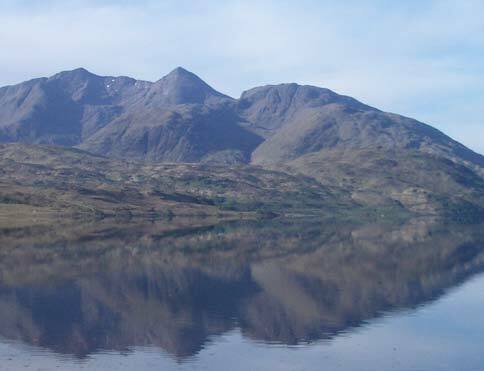 A beautiful loch in the shadow of Ben Cruachan, surrounded by interesting places to visit. 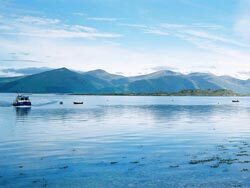 As if the beauty of Loch Etive itself wasn't enough, there are also many interesting places to visit around its shores. Bonawe Historic Iron Furnace, on Loch Etive at Taynuilt. 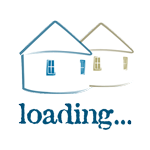 This open air museum has displays that bring to life the industrial heritage of the area and illustrate how pig iron was made. Dunstaffnage Castle, the mighty stronghold of the MacDougalls built in 1275, has a commanding position looking out to sea. Tour the castle and see where Flora MacDonald was held captive in 1746. Ardchattan Gardens on the north shore of Loch Etive have been in existence since the 13th century when a Priory was founded by monks. Today's gardens are in the care of Historic Scotland and are open to visitors. 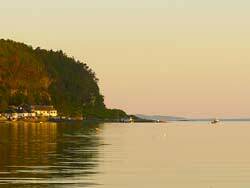 One of Scotland's richest prehistoric landscapes and a vital waterway through Kintyre. Kilmartin Glen is considered to be one of Scotland's richest prehistoric landscapes with more than 800 ancient monuments within a 6 mile radius. Visit the Museum in Kilmartin before exploring the fascinating sites with their standing stones, burial cairns, forts and duns. 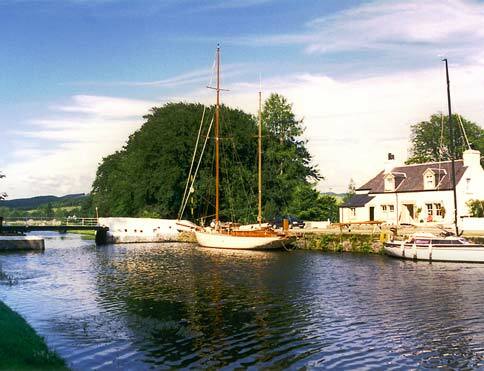 Described as 'Britain's most beautiful shortcut' the Crinan Canal links Loch Fyne at Ardrishaig with the Sound of Jura, creating a vital waterway through the Kintyre peninsula. Spend a lazy afternoon watching the yachts go through the locks before heading out to sea. Enroute you will pass Arduaine Gardens - a wonderful coastal garden with a collection of rhododendrons, azaleas, magnolias, Blue Tibetan poppies, giant Himalayan lilies and Chatham Island forget-me-nots. Inveraray makes for a perfect day trip with much to offer. Inveraray has much to offer the day visitor. 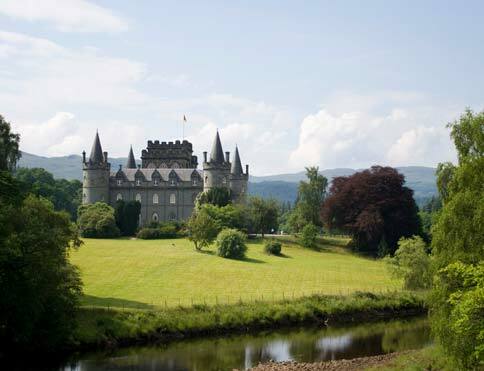 Inverary Castle and gardens is the ancestral home to the Duke of Argyll. The town's Jail and Maritime Museum are popular – all within a gentle stroll of each other on the shores of Loch Fynne. Nearby Crarae Garden is a sheltered oasis with a wonderful range of plants growing on the side of a rocky gorge. 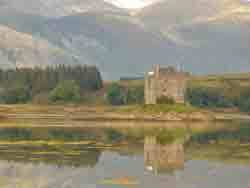 On the way back to Port Appin, look out for Kilchurn Castle on Loch Awe. One of the great railway journeys of the world: stunning scenery and Harry Potter's viaduct. 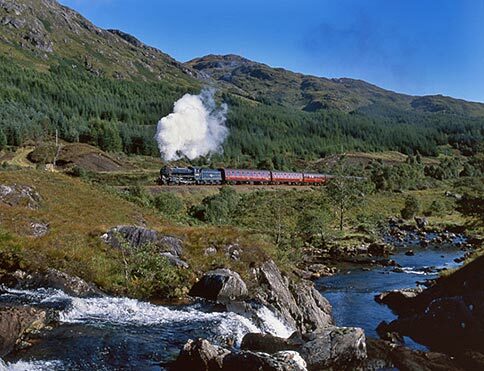 Described as one of the great railway journeys of the world this 84 mile return trip from Fort William to Mallaig takes you past a list of impressive extremes. Starting near the highest mountain in Britain, Ben Nevis, it visits Britain's most westerly mainland railway station, Arisaig; passes close by the deepest freshwater loch in Britain, Loch Morar and the shortest river in Britain, River Morar, finally arriving next to the deepest seawater loch in Europe, Loch Nevis! Travelling through stunning scenery, including the now legendary Glenfinnan Viaduct featured in Harry Potter's Hogwarts Express, on a clear day you can see right out to the "Small Isles" of Rum, Eigg, Muck, Canna and over the water to the southern tip of Skye. The journey also passes Morar and the silvery beaches used in the films "Highlander" and "Local Hero". 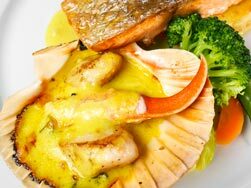 With Fort William station just 45 minutes drive from The Pierhouse it's a "must" for any visit here! 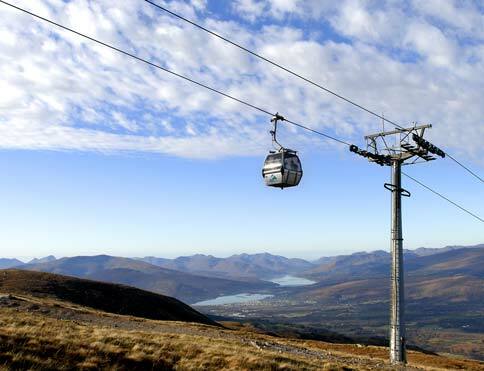 Take the Nevis Range gondola to a height of 650m on the slopes of Aonach Mor. 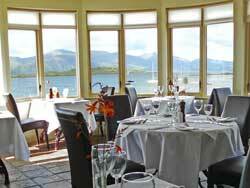 From there enjoy a walk on the mountain trails, take in the views and visit the restaurant and bar. The Nevis Range also has a High Wire Adventure in Leanachan forest. 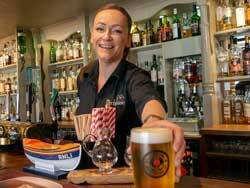 While in the Fort William area, stop at Neptune's Staircase at Banavie. A set of 8 locks on the Caledonian Canal, it was a feat of 19th century engineering when it was built, raising the canal 19 metres in a quarter of a mile. Nowadays it's a great place to while away an afternoon, watching the boats going through the locks and onto the canal. 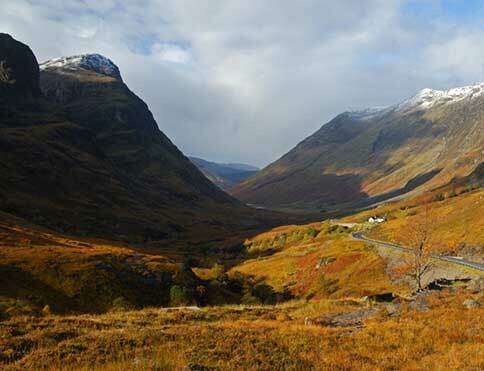 The world famous and spectacular Glen Coe is only half an hour's drive away. 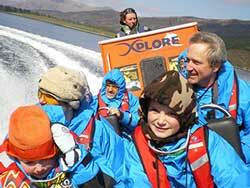 Heading north from The Pierhouse, the world famous and spectacular Glen Coe is only half an hour's drive away. You can take in the geological and human history at the National Trust for Scotland's visitor centre, or there are gentle walks through the woods in Glen Coe village from where there are stunning views up to the Pap of Glencoe and along Loch Leven. Be sure to drive through the Glen up on to Rannoch Moor stopping frequently to take in the ever-changing view. A very atmospheric place! Spectacular Glen Coe is known as 'the Glen of Weeping' as it was the site of a terrible massacre in 1692. All Highland clans who fought against King William III were offered a pardon.  The choice was to take the oath of allegiance in Inveraray by 1st January 1692 or face death. MacDonald Clan Chief, MacIain of Glencoe, reluctantly agreed to take the oath, but mistakenly went to Inverlochy in Fort William instead of Inveraray and missed the deadline. MacDonald naively thought that, despite taking the oath late, he and his clan were now safe. But the order had already been given to kill the entire clan. Led by Captain Robert Campbell of Glen Lyon, Campbell asked for quarters with the Clan for his 130 soldiers. For 10 days the soldiers enjoyed the hospitality of the MacDonald's before receiving and acting on the order to kill all MacDonalds under seventy years of age. Forty MacDonald's were killed, many more escaped to the hills only to die of hunger and exposure. Duart Castle, Tobermory/Balamory, historic Iona, all a short ferry ride from Oban. 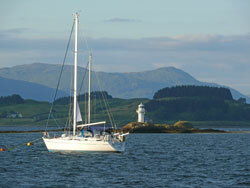 With regular ferries from Oban, spend a day touring the beautiful isle of Mull. Duart Castle, ancestral home of the Clan Maclean is close to the ferry port at Craignure. Make the scenic journey across to the West of Mull and after a short ferry crossing, explore the isle of Iona – an island steeped in the history of Scotland and Christianity. 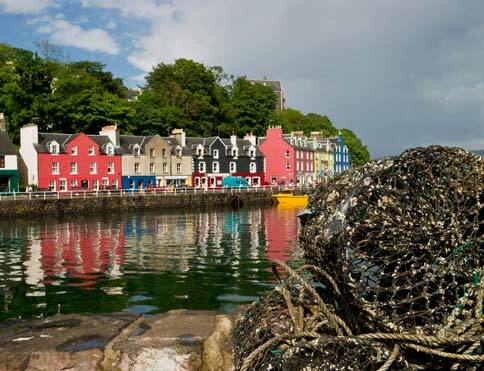 Alternatively, visit Mull's main town and harbour at Tobermory - also know as Balamory if you have children! - and take a drive along the north coast (looking out for sea eagles) to the stunning beach and woodland trail at Carsaig Bay. See the site of this infamous event, which inspired Robert Louis Stevenson's Kidnapped. Appin is probably most well known for its infamous 'Appin Murder' and subsequent notorious miscarriage of justice in 1752. In May 1752 Colin Campbell of Glenure, a government-appointed Factor to the forfeited estates of the Stewart Clan in North Argyll, was shot in the back at Lettermore woods near Ballachulish. The authorities suspected a local Jacobite of the crime and James Stewart (James of the Glen) was later tried by a jury of twelve Campbells and hung for the crime. He protested his innocence whilst the likely real suspect, Allan Breck Stewart, fled to France. Robert Louis Stevenson, intrigued by the story, based the novel Kidnapped on the Appin Murder. 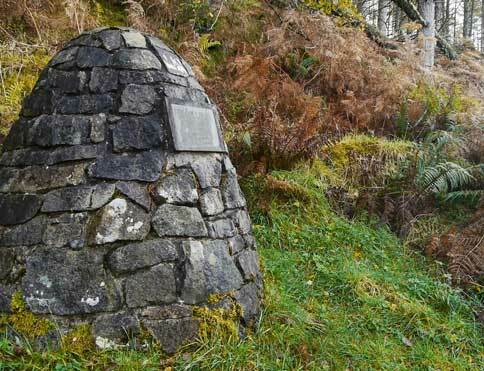 A cairn marks the spot where the Appin Murder took place - located in the Forestry Commission wood known as Leitir Mhor. 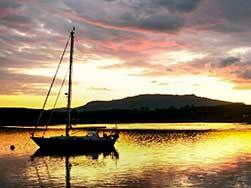 The Last Clansman Trail pulls together places to visit connected to the Appin Murder story. 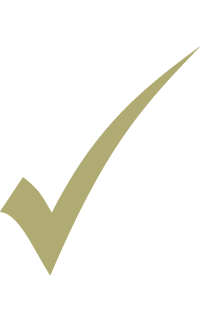 To read more about it, take a look at the Undiscovered Scotland website, link below. 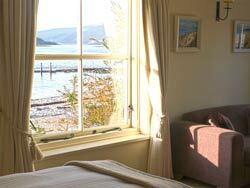 Relax in our Finnish sauna or enjoy therapeutic, aromatherapy or sports massage treatments in your own room. Wherever you go, whatever you do through the day, afterwards take advantage of one of our excellent relaxation, therapeutic, aromatherapy or sports massage treatments in the comfort of your own room or just relax in our Finnish sauna. 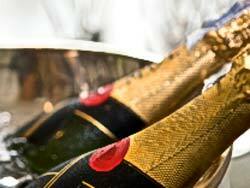 Ask our Reservations team for booking details.